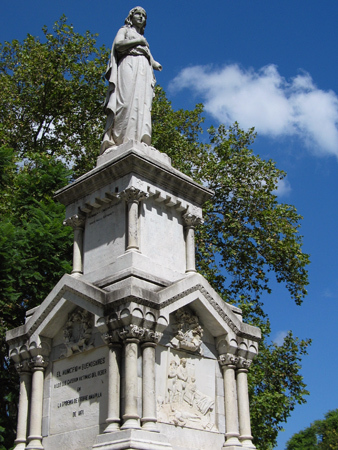 With the foundation of Recoleta Cemetery in 1822, Buenos Aires obtained its first public cemetery. But as decades passed & population increased, the need for another cemetery became apparent. Local leaders debated its size & location throughout most of the 1860s. One big complication stemmed from the fact that the city’s limits restricted expansion & further development. In 1867, Buenos Aires acquired land from San José de Flores to the west, extending the city to the current streets of Boedo/Sáenz. 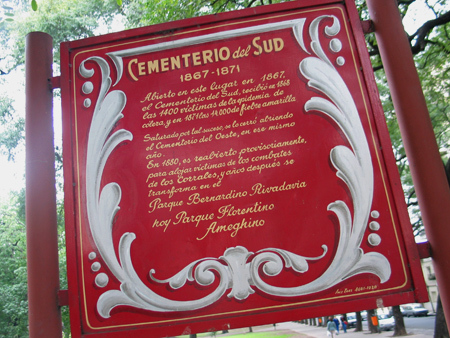 In December that same year, the Cementerio del Sur (also referred to as the Cementerio del Sud) opened to receive a number of cholera epidemic victims. Land purchased by the city government—the equivalent of one modern city block—previously formed part of the Carlos Escalada estate. It had been acquired by José Antonio de Escalada… father of San Martín’s wife, Remedios de Escalada. Although no definitive proof exists, legend claims that she passed away on this very spot in 1823. The Cementerio del Sur only remained in operation for four years, closing definitively in 1871. 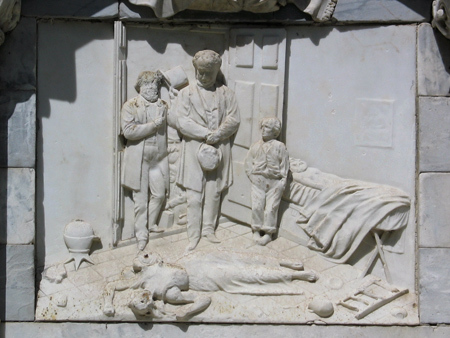 A yellow fever epidemic swept through Buenos Aires that year & killed an estimated 14,000 people—10% of the city’s population—in the span of a few months. The Cementerio del Sur could not receive such a large number of burials & prompted the opening of a much larger cemetery to the west of the city: Chacarita. 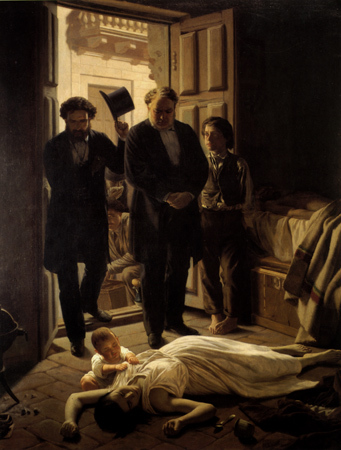 Just after the epidemic, celebrated Uruguayan artist Juan Manuel Blanes painted a famous work depicting the horror of the times. His painting shows a baby clutching the breast of its dead mother, a victim of the epidemic, while city health officials inspect the scene. On display in the Teatro Colón, it immediately struck a chord with all porteños. In the 1890s, the entrance gate was removed when this area was reassigned to become a public park. A small number of exhumations took place, but most of the 18,000 people buried in the Cementerio del Sur remain underground to this day. Currently known as Parque Ameghino in the neighborhood of Parque Patricios, it is filled with jacarandá trees & is often used by dogwalkers… probably unaware of an important part of the city’s history beneath them. 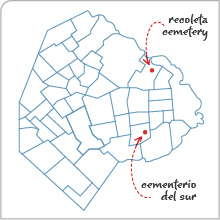 For a detailed account of the cemetery’s history, more information can be found in an article researched & published by Luis O. Cortese (Spanish only). It kind of reminds me of the final scene of “Gangs of New York”. It’s kind of creepy, going through a park unaware that you might be walking over your great grandfather..